Great for high protein diets! The whey protein in this product is our all natural whey protein isolate that originates from Wisconsin Dairy. It is made in the United States and is cold processed to prevent denaturing the protein. 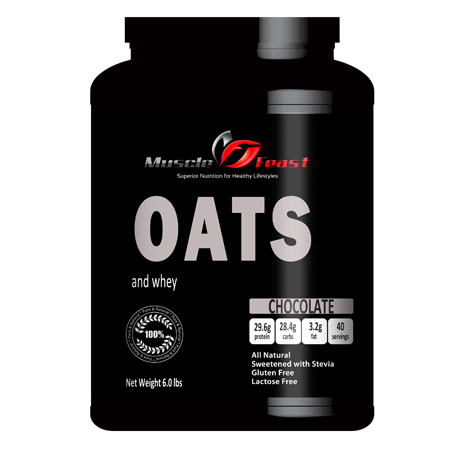 Our oats are whole oats like you would find in oatmeal that have been ground into a fine powder. 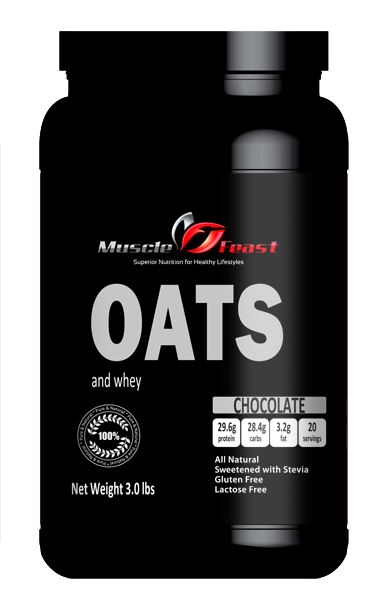 The oats originate from Canada. This product is available in flavors as well as unflavored. Our flavors are all natural as well as our sweeteners. For sweeteners, we use 1 gram of pure cane sugar and about 55mg of stevia reb A 97; a very high end stevia. 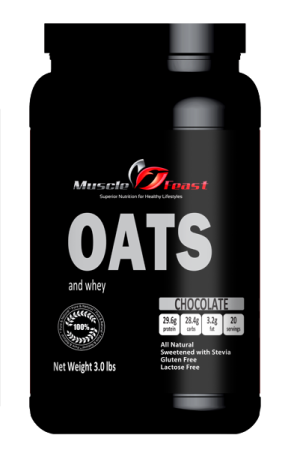 TIPS ON TAKING OUR FLAVORED OATS AND WHEY: Each serving consists of 2 level scoops and is formulated for eight ounces of milk or water. As with all of our products, because we do not use thickening agents, this product will taste better in milk or a milk substitute. Take one to two servings per day in place of a normal meal. You might want to supplement each servingl with a good fiber, like psyllium husk fiber to sustain a longer time of feeling full. To make a more complete meal, try adding one teaspoon of our psllium fiber and ½ scoop of our MCT powder to each serving. SERVING SUGGESTION: One serving consists of 2 level scoops mixed with 8 ounces of milk or milk substitute. Drink right away after mixing with fluid or keep refrigerated. Many people will vary their actual serving sizes to better meet the needs of their body; for reference, 1 scoop will go into solution in as little as about 3 ounces of milk or water. No Artificial Sweeteners and Virtually Lactose Free: this product does not contain any artificial sweeteners or flavors of any kind. Flavor and sweeten as desired.